Encourage them to learn Scripture passages with these printable Bible Cards! 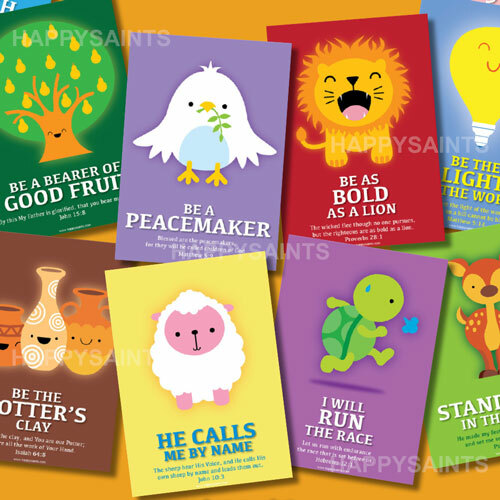 The Happy Saints ‘Happy Quotes’ eBook features 20 cute artworks with Bible-inspired quotes in printable posters, prayer cards, greeting cards, coloring pages and badges for all occasions. Fun and colorful cartoons help to bring out the meaning of favorite scripture verses. They are a great way to get your family, school or parish to love the Bible and they make great gifts to encourage and inspire others!